I personally love experimenting with new cleaning products. I am always in search of something that is cheaper, better and easier to use. A cost-effective item is not necessarily better if more has to be used, nor is it a bargain if less product is packaged in the container. So, I am always watching out for quantity and quality when bargain shopping. Television ads tempt us to run out and buy new products that promise the world, and sometimes there are some winning formulas to be found. Other times, a lot of money is wasted on a product that either doesn't get the job done at all or requires nearly a whole container before you see results. Even though I like to dabble in new products, I find that I usually return to tried-and-true products, especially on weeks when the budget is a little short. 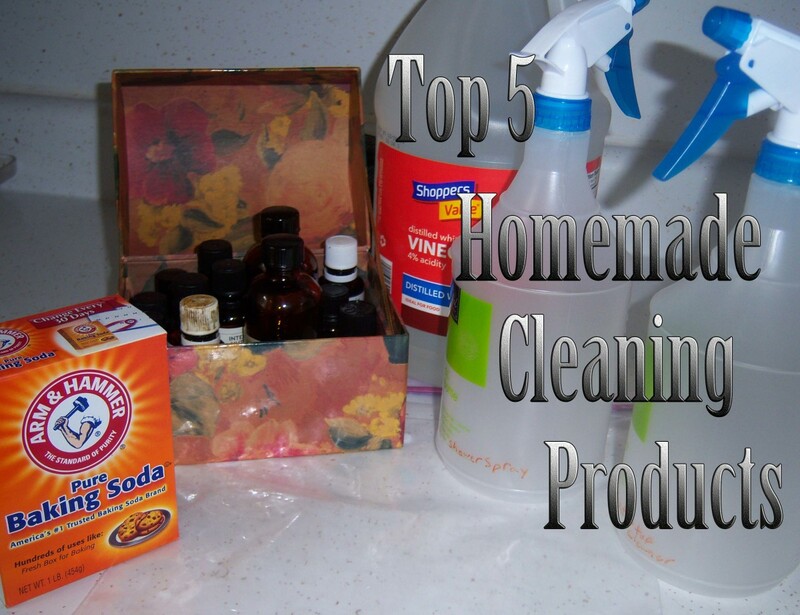 Here are the top five cleaning products I keep in my home, along with their pros and cons. Will not clean glass or mirrors well. Cleans over 20 household items. Safe to use on carpets. A bottle of Mean Green is usually less than $2, and can be found at Walmart and a variety of dollar stores. The bottle is deceptive, with the label saying "Cleaner and Degreaser," making it sound like it should be used in the garage rather than the house. Read the back of the container. It lists all the ways Mean Green can be used. Bathrooms, kitchens, automobiles, carpets, garbage cans, etc. 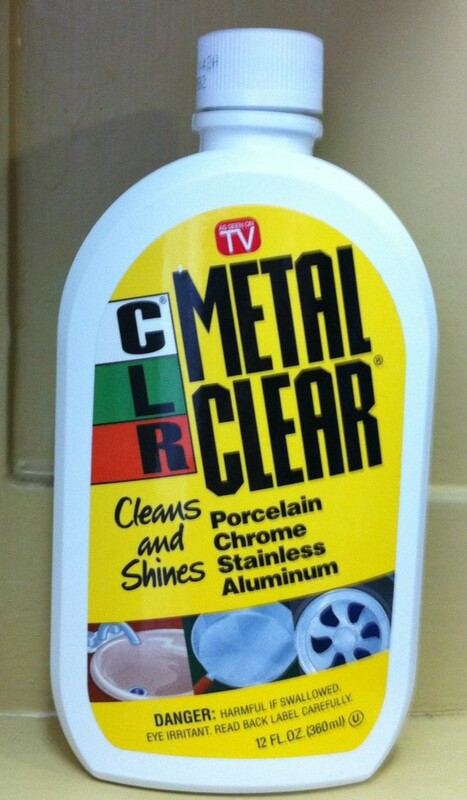 It even says that it will clean an RV. I haven't tried that yet, but here are a few things that Mean Green will clean. Kitchen Stove: Spray a messy, greasy stove with Mean Green and allow to sit a few minutes. Most of the mess will wipe away. For tougher spots, such as burner plates, scrub with a little steel wool and the shine will be restored. Floors: Great for hardwood or linoleum floors with a lot of traffic, Mean Green used in the mop bucket will loosen dirt, mud, grease, and sugary spills. It does need to be rinsed. Walls: It can be used on painted walls, and will remove sticky residue and even crayon and ink marks. Bathrooms: Mean Green can be used to clean any bathroom fixture, and removes a reasonable amount of soap scum. It works really well at removing hairspray residue. Laundry: Seems to work better than marketed laundry stain removers on organic stains such as chocolate, cola, blood, etc. Spray the stain rub in with a brush, then let sit for half an hour to overnight before washing. Mean Green is a great all-purpose cleaner. It doesn't sanitize, but it cleans deep to remove tough stains and residues. It is also easy on the wallet. If you have to have just one good cleaner on hand, this is a great choice. Requires a bit of elbow grease to really build up a shine. Removes residual polish for a healthier gleam. Okay, I have an obsession with furniture polish. I love using it not just on wood, but on my counters, faucets, doorknobs, and lacquer bedroom furniture. It adds a little gleam after the real cleaning has been done. I have used Pledge, and all the store brands claiming to be just like Pledge. Pledge is okay. I will use it in a pinch. But some of the store brands will gunk up the wooden surfaces. Some of them really stink too. Recently I discovered Behold furniture polish. I LOVE the way it smells! It cleaned off the residue left from the other polishes that I had used, which was a nice surprise. It took some elbow grease to get the shine back, but it was well worth it in the end. What really shocked me about Behold was that it polished up my antique china hutch. I had been thinking that the wood had just dulled with age, when actually the lackluster finish was a result of polish build-up. I'm not sure how many stores carry Behold brand polish. I buy mine at the dollar store, and it costs $1.50, which is actually cheaper than the store brand. The product goes further than the store brand too. It is not scented, and has strong fumes. Not as strong as Mean Green. Does not do well on glass surfaces. Does not work as well on laundry or carpet stains. Can remove very sticky items, such as chewing gum, from carpet fibers. Is very cost effective, since you rarely use it full strength. Can remove old wallpaper and contact paper. Cuts through soap scum within seconds. Totally Awesome lives up to its name as a great general purpose cleaner. Like Mean Green, it is primarily a de-greaser, so it is ideal for kitchen cleanup after frying foods. A standard size bottle will cost less than $3. Amazon carries the refill jugs by case which can save a quite a few dollars over the year. Unlike Mean Green, it is not advisable to use Awesome on painted surfaces, as it will lift the color. However, this makes it ideal for cleaning up after a remodeling project. Awesome is excellent for preparing surfaces BEFORE painting, as it removes all residue, including that left by soaps and other cleaning agents. Dishwasher: Unload dishwasher and remove racks, then spray with Awesome. Wipe clean after a few minutes. It removes build-up, residue and odors. Microwave: Does a terrific job of removing those accidental food messes. 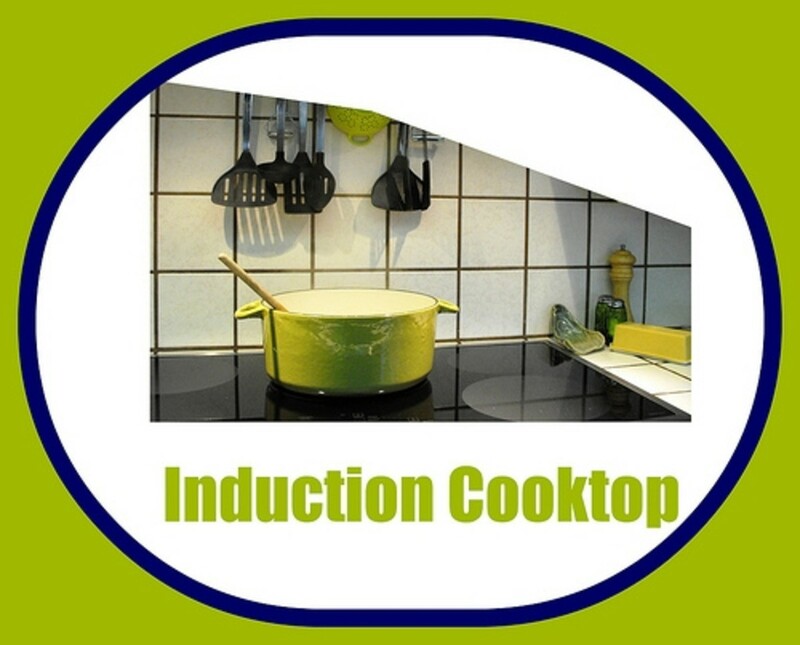 Oven: Spray inside of a cool oven, allow to sit for several minutes then wipe clean. 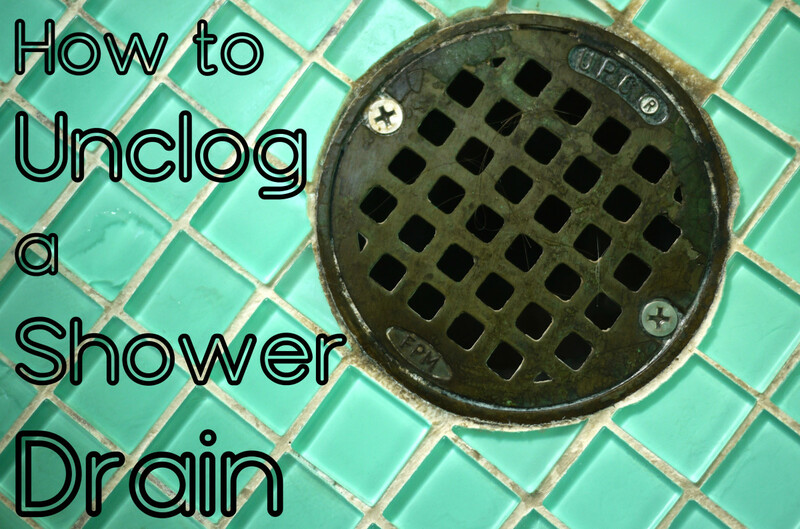 Drain rack: Removes hard water stains from plastic drain mats. Floors: Follow the dilution chart on the jug to make a great floor cleaner. Does not have to be rinsed. Totally Awesome can be diluted down for almost any multi-surface project, including tough outside jobs, such as concrete driveways, siding, and automotive cleaning. Public opinion varies on whether or not chlorine bleach should be used in the house. Until it is banned from the universe, I will always have a jug or two on hand. Bleach is not only useful when used full strength for whitening and sanitizing toilets, and rejuvenating white laundry, in a diluted form it is a useful product to have on hand for fighting germs. Chlorox and other bleach wipes are handy to have, but the cost can add up, especially when you have children and pets, or during cold and flu season. Since the contact time with the wipes is short, the bleach in them will not kill all of the germs. For heavy-duty sanitizing, make a bleach-water solution in a spray bottle and use for any place in the home that is frequently touched, or where food is prepared. 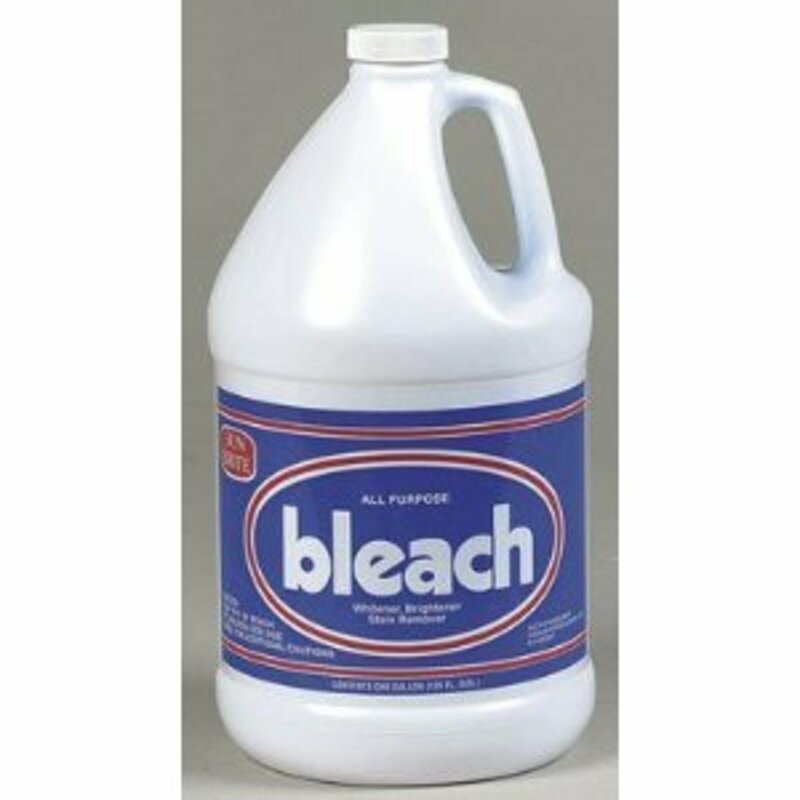 The recommended dilution rate for bleach runs anywhere from 1 tsp. bleach to 1/4 cup bleach per quart of cool water. For maximum effect, mix small amounts of bleach solution and try to use within one or two days, as heat and sunlight can weaken the sanitizing agents. Has very strong fumes and odor when first sprayed. Product is foamy so it takes more to cover large areas. Foam formula clings to vertical surfaces longer. Leaves a fresh scent after it is rinsed. I hate scrubbing tubs and showers. Unfortunately if you move into a home that isn't brand-spanking new, the showers, tubs, and surrounds may have quite a lot of soap scum built up from years of steamy baths. Even if you do have a new bathroom you still have to keep it looking new, right? Kaboom works very well with our rural water to clean the bathroom. The first time I used it on my supposedly clean shower, I left it for five minutes to set. When I came back there were white streaks where the Kaboom had cut through the grime. Which of these cleaners do you like? All of these products get the dirty jobs done. They are available at the local dollar store, and don't cost a fortune. Keep in mind that they are strong chemicals, so make sure there is plenty of ventilation, especially if there are pets, children, or persons with breathing problems nearby when you are cleaning. Also, remember that the type of water you have can alter the effectiveness of the products. I have used Awesome and Mean Green with several different types of water, and both products have worked well with all, including water with heavy lime content. @sgbrown-I haven't tried Scrubbing Bubbles yet. I'm very careful with my shower stalls now because after I got them cleaned properly I texture painted them temporarily until I can install all new surrounds. I have to use mild cleaner more often but so far the paint still looks good. I will definitely look into trying it for carpets though! Thanks for the comment and votes! Thank you for the reviews and comparisons! I use the basics such as bleach and glass plus. I could clean my home with both. Well done!!! Very good pros and cons on the cleaning products. I have to agree about the bleach. When I want something really clean and sanitized, I break out the bleach. I will try the Behold instead of Pledge, I do have some wax build up on some of my furniture. It would be great to remove that! I will definitely try Kaboom on my "older" shower stall, it really needs some help! Now I have to say that I LOVE Scrubbing Bubbles, not the store brand, has to be the original. I use it for almost everything! The bubbling action removes stains from my carpet, grime in any textured surface and I love it for cleaning my textured walls! Great hub, voted up and useful! Thanks ComfortB! I always feel better when I use bleach. Especially in bathrooms and eating areas. And definitely when my baby was crawling around touching everything! I found out a long time ago that I can't do without bleach, and not just any bleach, Clorox Bleach. Store brand bleach just don't cut it. I'll use other cleaner like Scrubbing bubbles once in a while, but I just got to have my bleach. Great hub. Voted Up and Useful. Thank you for the comment and vote! I have tried to use vinegar, but the smell is so bad to me it makes me physically ill. I never liked dyeing Easter Eggs for the same reason. It is great once the smell is gone though. I like how it leaves no residue! I was interested in your Hub because I have gotten completely away from cleaning products. I make an exception of Clorox. I still use that. I only use Vinegar now for all cleaning. ( I wrote a Hub about that). Good informative Hub, I voted it UP, and will share. @ Alecia--Thank you for the comment. I would definitely not recommend Kaboom or Mean Green for anyone with allergies. The Kaboom especially because of its foaminess seems to get into the air, making it easier to inhale. @anupma-thanks for the comment. I definitely think I would choose bleach if I could only have one cleaner in the house. Informative hub. You compare the products that help us to purchase according to our need. I use bleach and it is really very effective. 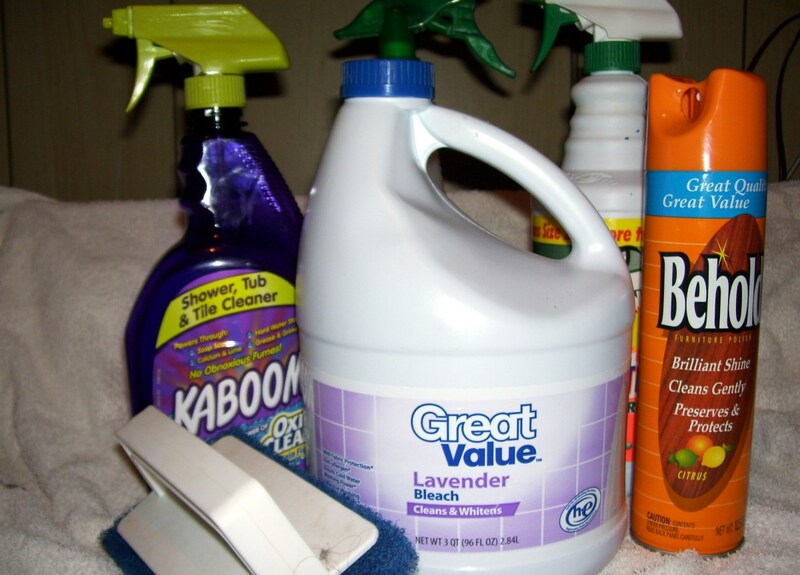 You have done a great job of comparing cleaning products while being objective. I have allergies and I realize some products are better for me to use than others. And you're right Totally Awesome is just that! It does the job well and seems to be worth the price. About bleach, I agree it does a great job for heavy duty cleaning. Very useful hub! Awesome job.